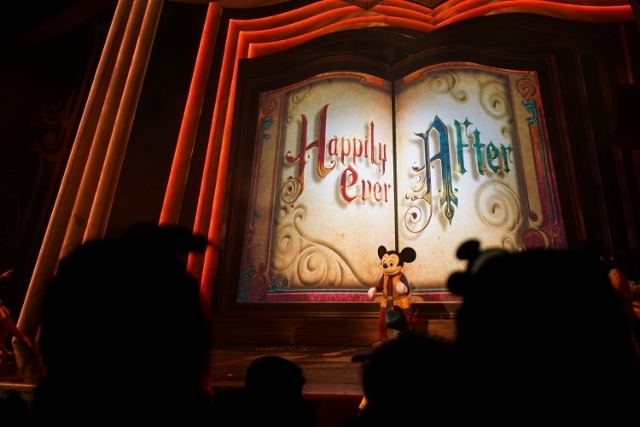 After Flights of Fantasy Parade, we moved to the theater for the show, Mickey and the Wondrous Book. We got there 30 min. before the show but we couldn't get good seat... I think this is more popular than the parade. English subtitles were avaiable on right side of the stage, but it was difficult to look at both stage and subtitles. 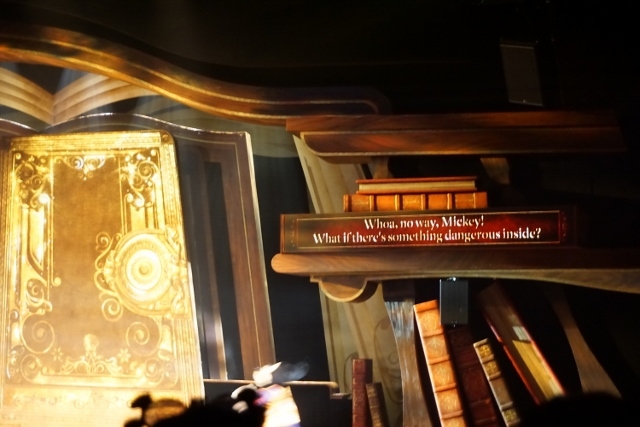 So we couldn't understand what they said, but we could asume the story. 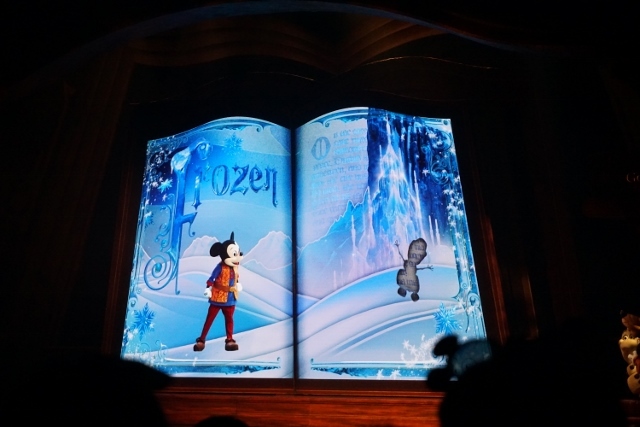 Mickey Mouse and Goofy were looking for the page Olaf should go back to, maybe. 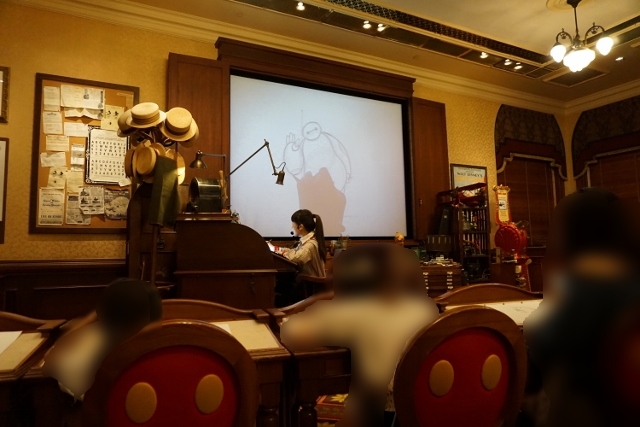 This is my first time to see Talking Mickey Mouse. 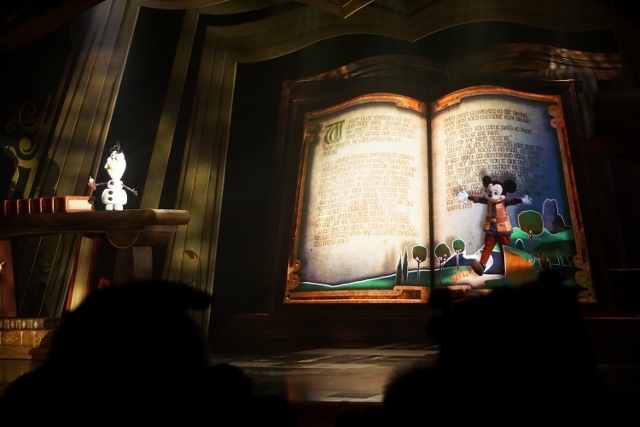 I thought pictures of it was a bit strange... but actual moving talking Mickey was cute. I think he is not photogenic so his face moves.